Story: Apologies for murky film scan, this moment and this story is still worth sharing. 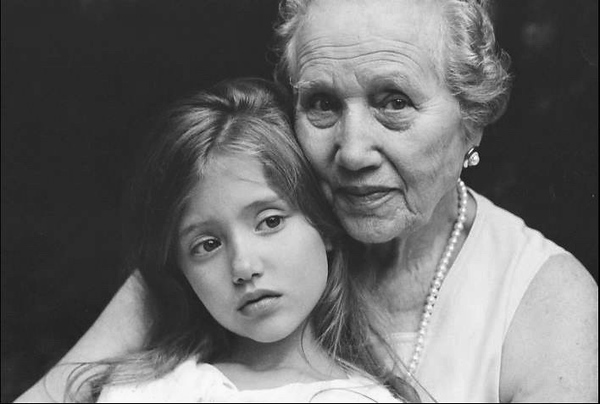 I took this photograph in junior high school, interviewing my grandmother, a Polish Jew who fled before the Holocaust. She is holding my little sister, Elizabeth, who continues to model for me as an adult. I shot this on a camera older than I was, my father's Nikkormat from the early 1970s.